A group of very special Irish music acts are coming together for ‘A Night for Aware’, a unique concert, all in aid of mental health charity, Aware. Taking to the stage on the night will be In Tua Nua, An Emotional Fish, Ryan Sheridan, The Blizzards, The Henry Girls, Sack, State Lights, Eibhin Eviston & Dave McGinley, Martin Daws, plus Special Guests. Supported by Cadbury, charity partner of Aware, the concert is sure to be a sell-out. Tickets priced from €28 including booking fee on sale Now. Stage schedule will be a surprise on the night so get down early! The organisers, having held previous, ‘A Night for….’ concerts, are hoping that the first ‘A Night for Aware’ concert raises the profile of mental health issues in Ireland and raises much needed funds. 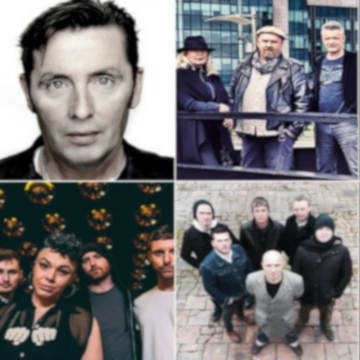 With a host of great Irish artists coming together in support it is sure to be a great night. Founded in 1985, Aware is the national organisation providing support, education and information to those impacted by depression, bipolar disorder and related mood conditions. Aware offers a number of Support Services for individuals and their loved ones to include 35 Support & Self Care Groups nationwide, a Freephone Support Line (1800 80 48 48) and a Support Mail service. Aware also delivers education programmes nationwide to empower adults and young people with the knowledge and skills to look after their mental health and build resilience to deal with the stresses of everyday life.